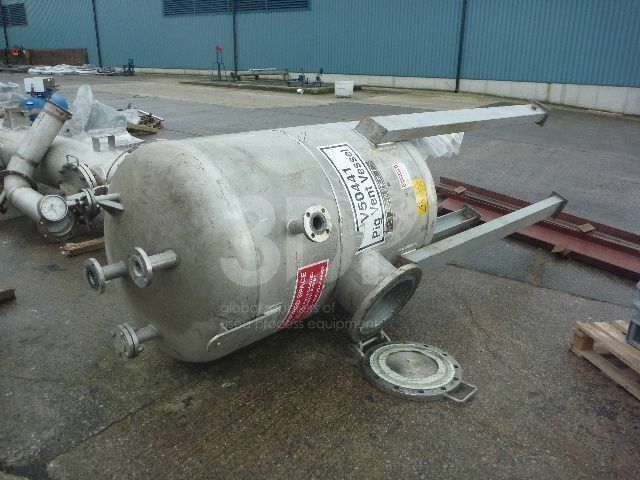 Used 1,280 Litre 304L Stainless Steel Pressure Vessel, built by Ardeth Engineering Ltd, 1999. Orientation: vertical, cylindrical, dished top and bottom on legs. 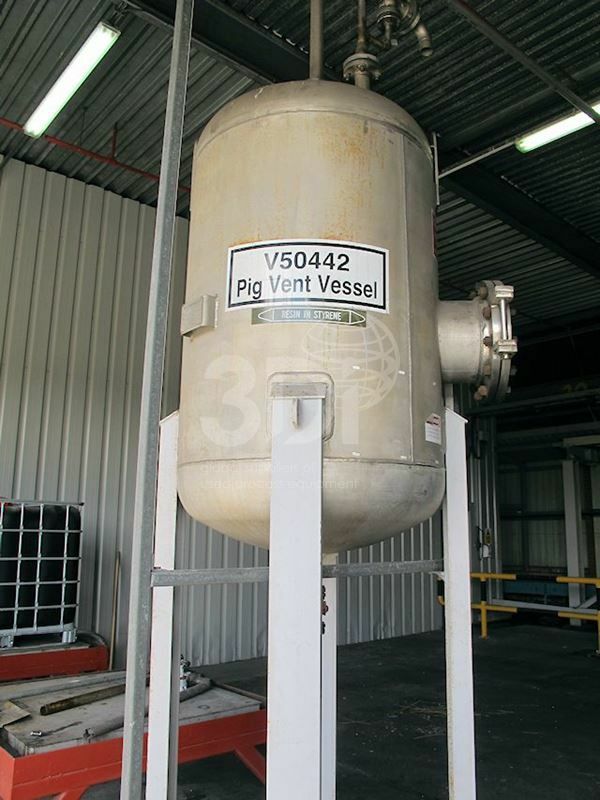 Dimensions: 1000mm internal diameter, 1300mm on the straight, 3620mm overall height. Design data: 6bar design pressure, 80degC design temp. Previously used to store chemicals.